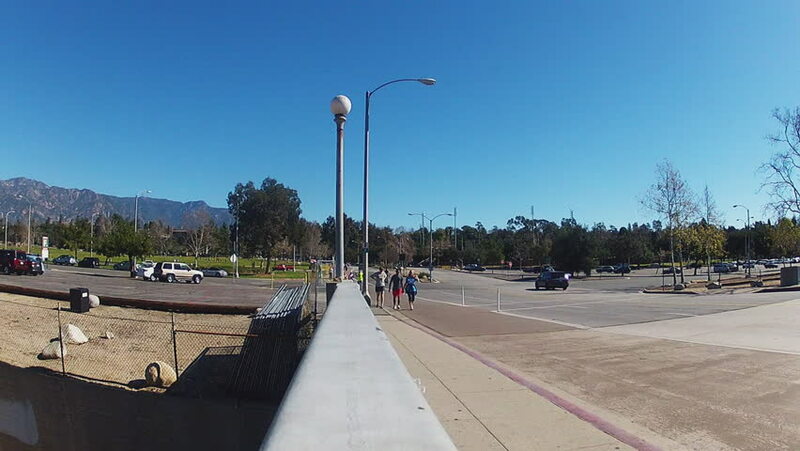 PASADENA, CA/USA: February 21, 2016- Time lapse shot of walkers, joggers and cyclists exercising in Pasadena California. The park around the famous Rose Bowl offers a great place for outdoor fitness. hd00:16PASADENA, CA/USA: February 21, 2016- Camera slowly zooms down a concrete drainage canal next to the Rose Bowl in Pasadena California. Only a trickle of water can be seen at the bottom of the ditch. hd00:14Travel around Europe by car. Mounted camera, back view.